"What’s the use of going to school and learning how to be in the world, if there’s no world in the future to be in?" Thousands of young people walked out of their classrooms and took to the streets to demand local officials to take action against climate change. Roz Plater reports. 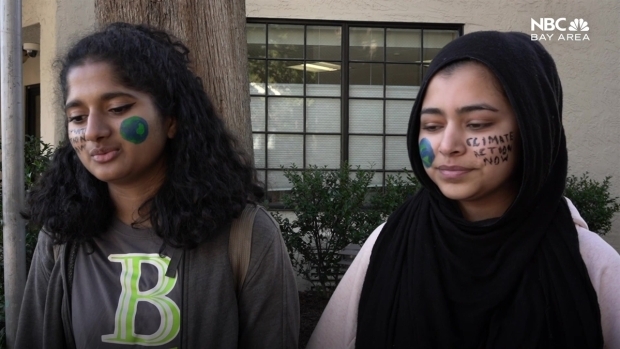 Young people in the Bay Area are joining other youth all over the world in walking out of class Friday to demand action against climate change. Hundreds of high schools and middle school students from across the region held colorful signs that read "Youth vs. Apocalypse" and "Green New Deal Now," packing the streets of San Francisco as part of the worldwide Youth Climate Strike. The walkout is all in an effort to demand legislative action to halt the human-made effects on climate change and advocate for other environmental issues. They hope to have their voices heard by lawmakers like Nancy Pelosi and Sen. Dianne Feinstein, who have offices in city. Thousands of young people walked out of their classrooms and took to the streets to demand local officials to take action against climate change. Hear why the youth is advocating in Palo Alto. Feinstein was at the center of the Green New Deal debate in February when a group of Bay Area students confronted her on the ambitious Democratic-led plan to shift the U.S. economy from fossil fuels to renewable sources. "That resolution will not pass the Senate, and you can take that back to whoever sent you here and tell them," Feinstein told them after the students insisted the legislation was badly needed. 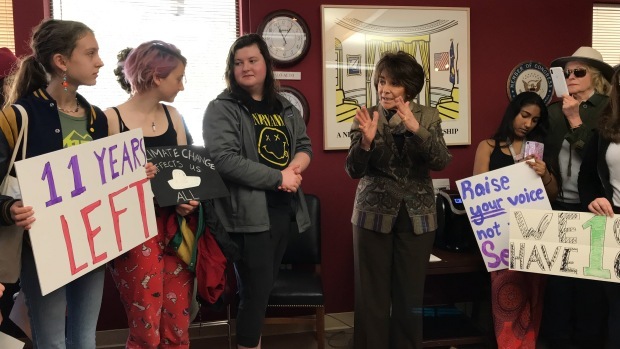 Congresswoman Anna Eshoo urged Palo Alto students to continue advocating on climate change during the nationwide climate strike. Democratic Rep. Anna Eshoo is one Bay Area lawmaker who joined kids rallying in Palo Alto. "What you are doing is part of an extraordinary American tradition, when people rise up and say this is not good and we need to do this,” she told a crowd of students. How is the Youth Reversing Climate Change? 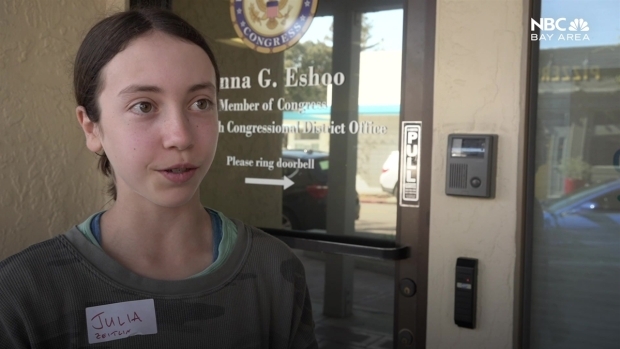 Young people in the Palo Alto joined youth all over the world in walking out of class Friday to demand action against climate change, so we asked 12-year-old climate change advocate Julia Zeitlin how others can help reverse the issues. The coordinated "school strikes," were inspired by 16-year-old Swedish activist Greta Thunberg, who began holding solitary demonstrations outside the Swedish parliament last year. Friday's rallies were one of the biggest international actions yet. Protests were underway or planned in cities in more than 100 countries, including the United States, Hong Kong, New Delhi, Wellington, New Zealand, and Oulu, Finland. NBC Bay Area's Sam Brock and Jennifer Gonzalez contributed to this report.